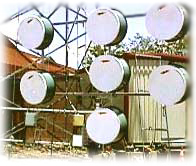 Radio or microwave technology is used to provide the first mile or gateway connection to the Internet from a community. 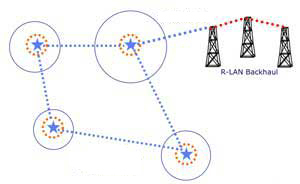 RF technology is robust and reliable and offers a high-capacity wireless solution. It is widely used to provide communications for mobile phone networks. The platform offers multiple aggregate and tributary capacities and interface types, with the flexibility to be deployed in configurations that include terminal, add-drop, and cross-connect. This versatility allows operators to seamlessly integrate wireless and fibre to provide voice and value-added data services over high-capacity links. It is a ideal replacement for leased lines or burying fiber cable.